St. Luith, Virgin, of Druim-dairbhreach. An entry appears, in the Martyrology of Tallagh, at the 30th of April, which describes a holy female as Luta, virgin, of Dromadairbreach. This place means in English "Oakhill;" but, it has not been identified. However, it is mentioned, in the Annals of the Four Masters, at the year 1062, and, in such a manner as to indicate, that it must have been situated within the territory of Leinster, as then recognised. The Bollandists quote the Tallagh Martyrology, at this date, for the festival of the virgin Luta of Droma-airbreach. The name of Luith, virgin, of Druim-dairbhreach, also occurs in the Martyrology of Donegal, as having had veneration paid her, on this day. ST. DIOCHU, OR DICHUS, OF SABHAIL, OR SAUL, COUNTY OF DOWN. 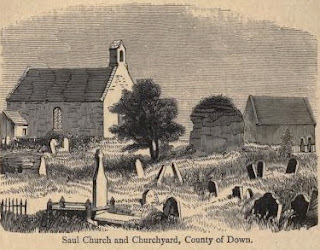 IT has been very generally supposed, that the first convert made by the illustrious Apostle of Ireland, after his mission had opened in Ulidia, was Dichu, or Dichus, or Dichuo, sometimes written Diochu, and Dichon, who lived in that district, comprising the present Barony of Lecale, in the county of Down. The particulars of his conversion have been already alluded to, in the Life of St. Patrick. His early neophyte, having once embraced the faith, afterwards led a most exemplary life. In the published Martyrology of Tallagh, however, there is no notice of this pious convert, at the 29th of April; although the Bollandists refer to that calendar, and at that same date, for the entry Dichus de Sabhall. In Irish ecclesiastical history, he has attained much celebrity, and his story has often been related. He descended from a distinguished family, who belonged to the northern part of Ireland; and there he appears to have been born, perhaps, about the close of the fourth, or the beginning of the fifth, century. His father is said to have had a very numerous family of sons, whose names have been placed on record. Thus, we are informed, that Trichem, a chief of Uladh, had seven sons, viz., Dichu of Sabhall, or Saul, Laeghaire of Dun, Ailill of Magh-bile, or Moville, Duirthecht of Aendruim, or Mahee Island, Eoghan of Cillcleithi, or Kilclief, Ros of Dundalethglas, or Downpatrick, and Niall of Cillcleithi, or Kilclief. These were of the race of Fiatach Finn, the ancestor of the Dal Fiatach, a strictly Ultonian tribe. The patrimony of Dichuo seems to have been near the southern shore of Lough Cuan, now Lough Strangford, and where a small river, formerly called the Slaney, enters into the sea. There, he had a swineherd employed, who, on the arrival of St. Patrick and of his companions, gave the alarm to his master. He thought these strangers were to be regarded as thieves or pirates. Jocelyn relates, that when St. Patrick first opened his Irish mission in the north, which is generally thought to have been A. D. 432, a certain man named Dichu, who was powerful of strength, gigantic of stature, and savage of mind, occupied the district in that quarter where the Irish Apostle landed in Ulidia. Dichuo brought dogs to attack the voyagers, but he was unable to succeed in his purpose. As when the prophet sent from Juda to Bethal was opposed by the king sacrificing to idols, and when Jereboam stretched forth his hand against the man of God, the king's hand withered, so that he was not able to again withdraw it, until the prophet interposed in his behalf; so, it would seem, such a miracle took place, in the case of Dichuo. St. Patrick and his companions are said, by Probus, to have landed, at an island, called Milchon; but, this seems to be a mistake for Mag-Inis, a low-lying island in the district known as Leth-Cathuil, or Lecale. This chieftain brandished his sword intending to destroy the saint. But, the Lord interposed his protecting arm, all Dichu's strength withered, and he entirely stiffened, so that he could move, neither his foot to go forwards, nor his hands to strike. Experiencing such a miracle, suddenly Dichuo changed into another man; and from being proud becoming humble, his fierceness was changed into mildness, from an infidel, he became a believer, with all his household, at the preaching of St. Patrick, and he was baptized in the Christian faith. As his soul was then loosed from the chains of sin, so were his limbs loosed from their heaviness, and all their strength was restored unto them. Thus, he who had been the first and principal opposer of the Faith in Ireland, became its first professor, and even to his latest age, he continued its most devoted follower. To atone for his former obstinacy, Dichu presented a place, called Sabhal, now Saul, where St. Patrick might erect a church. To this proposal, the great Irish Apostle most willingly assented. Dichu requested it might be erected in a direction, lying north and south. On account of some peculiarity in its position, or use, the name Sabhall, which means "a barn," was probably applied to the original church. This church of Saul was the first founded, by St. Patrick; its ground was the first consecrated and offered in Ulster, for a religious purpose; while its donor Dichu was the first convert known, in that part of Ireland. The year 432 is said to have been that for its first ecclesiastical appropriation; and, it was probably erected, under the personal supervision of St. Patrick and by his band of missionaries. After the foundation of this first Irish church, St. Patrick went northwards, to visit his former master Milcho, or Miliuc; but, he failed in effecting a conversion, and afterwards, he came back to the house of Dichu, in the plain of Inish. In that beautiful country around, St. Patrick wrought many miracles, and preached the Gospel, while he received many professions of the true Faith from the inhabitants. The monarch of Ireland, King Leoghaire, detained two of Dichuo's sons as hostages at that time, and he decreed, that they should be put to death, because their father had given sanctuary and protection to St. Patrick. However, owing to the holy prayers of the Irish Apostle, both of those young nobles obtained their freedom. We have no further account of Dichuo, in the various Lives of St. Patrick; but, it is reasonable to conjecture, that the local dynast passed his days at or near Saul, where it seems probable he died and was buried. In process of time, St. Patrick built there a suitable monastery, to which he introduced monks, who had passed their novititate under him. For their use, not long afterwards, and through his prayers, St. Patrick produced a fountain out of the earth. Over that monastery of Saul did he appoint his disciple, St. Dunnius, to be Abbot. When the holy Apostle had returned from his mission—most probably in the south of Ireland—he dwelt with Dunnius not a few days. Heavenly, splendid, most famous" &c.
As if doubting his own identification, the author then adds: there is a Modichu, we are told, descended from the race of Brian, son of Eochaidh Muighmhedhoin. It may be, that he is identical with this Dichu, as some, say the O'Clerys, understand. This latter opinion, however, seems inadmissible, for that Modichu was brother to St. Bairre, of Cork, and son of Aimergen, who was ninth in descent from Brian, son of Eochaidh Muighmedhain, and who was the founder of a distinguished Connacian family. On the other hand, it may be questionable, if Dichuo has been ranked among the saints of our earliest calendars; although, his conversion and subsequent life, according to nearly all the ancient Lives of St. Patrick, give him a claim on our consideration, as a special benefactor of Christianity in our Island, and as the the true and loyal friend of her great Apostle. Little is known regarding this holy man, except what we learn of him incidentally, in the lives of other Irish saints. In the Martyrology of Tallagh, at the 28th of April, he is called the son of Cutrita. However, he is called St. Luchtigernus filius Huatriti, by the Bollandists, at this same date; while they add, he is similarly named by St. Aengus, and by Marianus O'Gorman. Brigh, daughter of Forannan, son to Conall, son to Tochtar, son to Amhalgaidh, sister of Maelaithghin, was his mother, according to the O'Clerys. There was a Saint Luctigern who was the disciple of St. Ruadhan of Lothra, and this most probably was the person. Under him, St. Luchtigern progressed in studies, and in those virtues requisite for his promotion to the ecclesiastical state. Colgan alludes to him, as being mentioned in the Acts of St. Maccrecius. In the western part of Clare County, and rising near Lake Diilogh, there is a stream, which forms a boundary between the baronies of Ibrickane and Islands, for about two miles; then it runs across the barony of Inchiquin, and afterwards, in a north-westwardly course, it forms a boundary between the latter barony and Corcomroe. It has several tributary streams, and on its northern bank is seated the present town of Ennistymon, or Innistymon, over a singularly romantic reach of the river so called, where ledges of rocks obstruct the course, and over a succession of these, the waterfalls career through a valley, unrivalled for picturesque and scenic beauty. Here the present holy man chose a place for religious retirement and contemplation. St. Luchtigherna is the reputed founder of Inistymon Abbey, in the parish of Kilmanaheen, barony of Corcomroe, and county of Clare. It is Latinized, Inistyniensis, or Inistomensis, and it is almost due-east of the signal tower, rising over the sea-shore, at Lahinch, on Liscannor Bay. Over this house, he exercised the duties of Abbot; and, he was held in the highest repute, owing to his great sanctity. He once made a visit to St. Ita, and to her establishment, at Hy-Conaill Gaura, in the county of Limerick; and, we are told, that on this occasion, he was accompanied thither by St. Lasrean, Abbot of Druimliag. Not knowing this latter person, the nuns suffered him to pass through their gate, without any marked token of respect. For such omission, they were mildly reproved by their holy Abbess, who told them his name, and the great reputation he bore for sanctity. Those Abbots were accompanied by a young man, who had previously advised them not to visit the old woman—meaning Ita. When the visitors approached St. Ita, to receive her blessing, having a miraculous knowledge of what had occurred, she said to the young man, "Why have you come to the old woman, since you have told those holy Abbots, it would profit them little to visit me ?" The young man felt deep regret, on account of his thoughtless expression; and, the visitors, having remained for three days with St. Ita, returned to their respective places of residence, having previously received her blessing. As St. Luchtigern was contemporaneous with St. Ita, who died A.D. 570, we might perhaps assume, that he departed before the close of the sixth century. The 28th of April is the festival day of St. Luchtigherna, and probably that of his death. It is entered, in the Martyrology of Donegal, that veneration was given, on this day, to Luightighern mac Ua Trato. It is he that dwelt at Tuaim-fionn-lociia, in Tratraighe, according to the O'Clerys. This ancient place is now known as Tomfinloe, or Tomfinlough, a parish in the barony of Upper Bunratty, and county of Clare. The denomination Tuaim Finlocha, signifies "the mound or tumulus of the bright lake." Besides this lake are seen the ruins of an old church. Previous to the middle of the tenth century, the death of a Scannlan, Abbot of Tuaim-Finlocha, is recorded. Among the various readings to the Feilire of St. Aengus, in the "Leabhar Breac " copy, at this date, we find the name of Lugtigern introduced, as already noticed. In the Martyrology of Tallagh, the name is merely recorded, at the 28th of April, as Lucthigern mac Cutrita. A Life of Maccreiche states, that it was there—at Tuaim-fionn-locha Luightigern was either buried or venerated. IT is the peculiar good fortune of Elphin, not alone that the see was founded by the National Apostle, but that, except the feast day, all the known facts respecting the first bishop have been recorded in the two most authentic memorials of native hagiography, — the Tripartite Life and the Patrician Documents in the Book of Armagh. St. Assicus was one of St. Patrick's earliest and most remarkable disciples in Ireland and the first bishop of the very ancient see of Elphin. St. Patrick in his missionary tour through Connaught, which he entered by crossing the Shannon at Drumboilan, near Battle-bridge, in the parish of Ardcarne, according to Usher in 434, according to Lanigan in 435, came to the territory of Corcoghlan, in which was situated the place now called Elphin. The prince or chief of that territory, a noble druid named Ona, or Ono, or Hono, of the royal Connacian race to Hy-Briuin, gave land and afterwards his castle or fort to St. Patrick to found a church and monastery. The place, which had hitherto been called, from its owner's name. 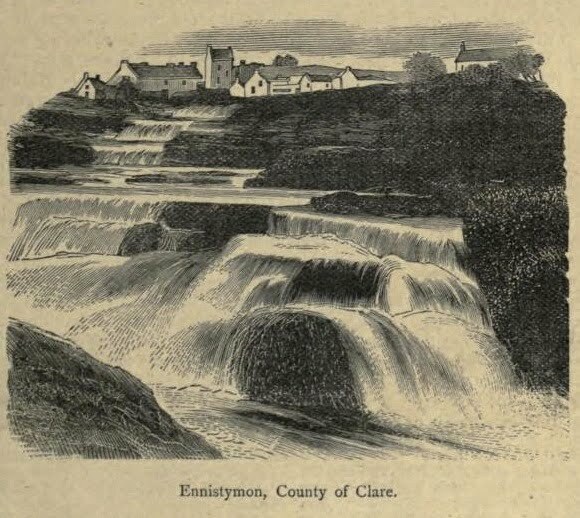 Emlagh-Ona, received the designation of Elphin, which signifies the Rock of the Clear [Spring], from a large stone raised by the saint from the well miraculously opened by him in this land, and placed by him on its margin; and from the copious stream of crystal water which flowed from it and still flows through the street of Elphin. There St. Patrick built a church called through centuries Tempull Phadruig, Patrick's Church, which he made an episcopal see, placing over it St. Assicus as bishop; and with him he left Bitheus, son of the brother of Assicus, and Cipia, mother of bishop Bitheus. St. Patrick also founded at Elphin an episcopal monastery or college, which is justly considered one of the first monasteries founded by him, and placed over it the holy bishop Assicus. …Like so many of the towns of Ireland, the episcopal city of Elphin had its origin in the church and monastery which St. Patrick founded there, and over which he placed St. Assicus in the fifth century. The name of Emlagh-Ona is still preserved in the townland of Emlagh, which adjoins the town of Elphin. Emlagh-Ona was obviously so-called to distinguish it from this other Emlagh, coterminous with it and still retaining the name. The first bishop of Elphin was a worker in metal. He is described in the Book of Armagh as a cerd, i.e, a wright, the faber aereus Patricii, and he made altars, chalices, and patens, and metal book-covers, for the newly founded churches. Following the example of their master, the successors and spiritual children of St. Assicus founded a school of art and produced most beautiful objects of Celtic workmanship in the diocese of Elphin. Of these, some remain to the present day, objects of admiration to all who see them. 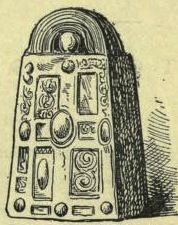 The famous Cross of Cong, undoubtedly one of the finest specimens of its age in the western world, was, as an inscription on it testifies, the work of Maelisa Mac Egan, comarb of St. Finian of Clooncraff, near Elphin, Co. Roscommon, under the superintendence of Domhnall, son of Flanagan O'Duffy, at Roscommon, who was successor of Coman and Eiaran, abbots of Roscommon and Clonmacnoise, and bishop of Elphin. It is held that the exquisite Ardagh Chalice, which was given to Clonmacnoise by Torlogh O'Conor, and was stolen thence, was made, if not by the same artist, in the same school at Roscommon. The Four Masters record A.D. 1166: The shrine of Manchan of Maothail (Mohill) was covered by Rory O'Conor, and an embroidering of gold was carried over it by him, in as good style as relic was ever covered in Ireland. It is, therefore, fair to conclude that this beautiful work was also executed in the school of art founded by St. Assicus in the diocese of Elphin…. …About seven years before his death, St. Assicus, grieved because some of the inhabitants of Magh-Ai, or Machaire-Connaught, the plain in which Elphin lies, had falsely given out that a lie had been told by him, seeking solitude, desiring to be alone with God, secretly fled from Elphin northward to Slieve League, a precipitous mountain in Donegal. He spent seven years in seclusion on the island of Rathlin, adjacent to Glencolumbkille. His monks sought him, and at last, after great labour, found him in the mountain glens. They sought to persuade him to return with them to Elphin; but he refused on account of the falsehood which had been spoken of him there. The king of the territory gave to him and to his monks after his death the pasture of one hundred cows with their calves, and of twenty oxen, as a perpetual offering. There the holy bishop died, and they buried him in the desert, far from Elphin, in Rathcunga, in Seirthe. Rathcunga is now locally called Racoon. 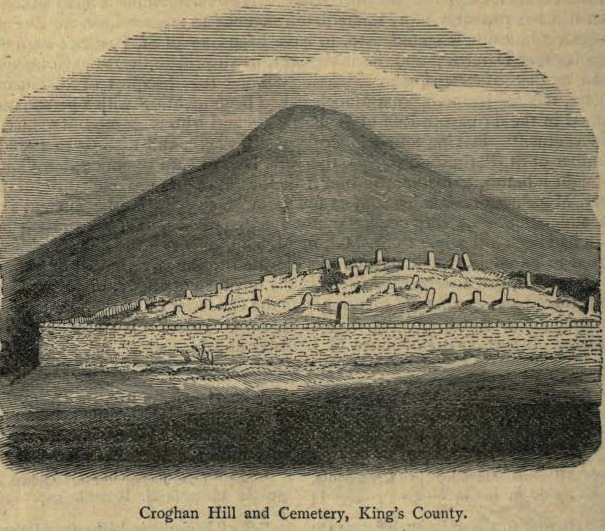 It is a conical hill, the apex of which is entrenched like a rath, and contains an ancient cemetery, now disused, in the parish of Drumhome, county Donegal. In this sacred and celebrated place, St. Patrick had built a church and monastery, where had dwelt seven bishops: and in the same place, St. Bitheus, bishop, the nephew of St: Assicus, is buried. Their relics were held in the highest honour, and for many ages were religiously guarded by the monks and venerated by the people. Of the church and monastery of Racoon, hallowed by the relics of the holy bishop and anchorite Assicus, and the holy bishop, Bitheus, and by the presence of St. Patrick and seven bishops, even the ruins have perished. But the children of St. Assicus, the first bishop and patron of Elphin, still, even to our age, have piously preserved his memory, and hold before their eyes his example of the union of labour and contemplation. St. Assicus probably died before the close of the fifth century. His feast is observed on the 27th of April, on which day he is honoured as patron of the diocese of Elphin, where his festival is celebrated as a double of the first class with an octave. It is a major double for the rest of Ireland. Hennessy identifies Bite with St. Beoaedh, bishop of Ardcarne, in the county of Roscommon. 'He was,' he says, 'nephew of St. Assicus, bishop of Elphin, who was also buried in Rathcunga. St. Beoaedh died on the 8th of March, 624, on which day he was venerated. The Chronicon Scotorum has his death at 518. But Beoaedh (Vividus Hugo) of Ardcarne — Beoaedus de Ardcharna in Connacia, qui erat episcopus, obiit 523 : Mart Dungall, Mart, of Tallaght, pp. xvii., 3 — does not appear to have been identical with Bite, nephew of St. Assicus. Bite was a bishop and is often mentioned in the Tripartite and Book of Armagh with Essu and Tassach (Assic), as one of Patrick's cerds. He was left at Elphin with Cipia his mother, and, there can be little doubt, succeeded the founder, St. Assicus. There is a St. Biteus, abbot of Inis-cumhscraidhe, now Inishcoursy, co. Down, at the 29th of July. St. Biteus of Elphin is given in the list of St. Patrick's disciples furnished by Tirechan, Asacus (recte Assicus), Bitheus, Falertus (Felartus). But the equation of Bite and Beo-Aed calls for no refutation. The latter died, according to the rectified chronology of the Annals of Ulster, in 524. He was seventh in descent from Lugaid Mac Con, king of Ireland, slain A.D. 207. Amongst the saints of Lugaid's sept mentioned in the versified Genealogies of Saints, Bite is not included, — an omission which effectively disposes of the allegation that he was nephew of Beo-Aed. Assertions have been made regarding St. Assicus which are not borne out by the ancient authorities, and serious mistakes have been committed by various writers in treating of him. It has been said that Elphin derives its name from a white rock or stone: that Assicus was a druid: that he was the husband of Cipia and father of bishop Bitheus: that he retired from Elphin through shame because he had told a lie there. There seems to be no warrant for these statements in the reliable sources of our knowledge respecting St. Assicus… St. Assicus fled from Elphin, not because he had told a lie there, but (which is quite another thing) because a lie had been told there of him. The author of the Life of St. Patrick in the Book of Armagh says: The holy bishop Assicus was the goldsmith of Patrick, and he made altars, and quadrangular book-cases. Our saint also made patens in honour of Patrick the bishop ; and of them I have seen three quadrangular patens, that is, the paten in the church of Patrick in Armagh, and another in the church of Elphin, and the third in the great church of Saetli, on the altar of Felart, the holy bishop. The altar of Felart, on which was this beautiful paten of St. Assicus, was in the church founded by St. Patrick on Lough Sealga, called Domnagh-Mor of Magh Sealga, in the townland of Carns, near Tulsk and Rathcroghan, the royal residence of Connaught. Elphin, or as others write it Elfin, is situated on a rising ground in a pleasant and fertile soil. St. Patrick built the Cathedral Church there about the middle of the fifth century, near a little river flowing from two fountains, and set Asic, a monk, over it, who was a great admirer of penance and austerity ; and by him consecrated bishop, who afterwards filled it with monks. He died in Rathcung in Tirconnell, where he was also buried. Some say that this Assic (the correct form) was a most excellent goldsmith, and by his art beautified the Cathedral with six pieces of very curious workmanship. 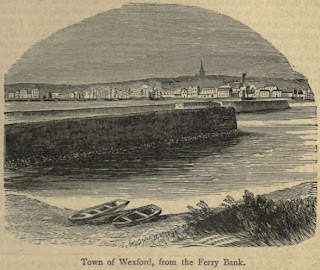 The little river of Ware and the spring of the Tripartite and O'Flaherty, are the present stream from St. Patrick's Well; and the two fountains were no more than two fissures in the Ail out of which two tiny streams flowed separately for a short distance, when they united. This is the case to the present time. The water flowing from the spot where the Ail stood is conveyed in two covered drains as far as the water-shed. The original fissures in the rock did not contain much water at any time ; and, as described by a nonogenarian who had drawn water from it, the ail was a large rock considerably raised over the surface of the surrounding earth, and in its centre or between its shafts, were the fissures or crannies from which sprang the clear water that produced the rivulet. This celebrated rock, which, together with the crystal stream that flowed from it, has given a name to the most ancient diocese of Connaught, was shattered to pieces by the application of blasting powder, by Rev. William Smith, Protestant Vicar-General of Elphin, between the years 1820 and 1830. Owing to this vandalism, there is now no trace of the Ail-finn or Rock of the Clear Spring. It is a mistake to say that, when it was broken, the Ail stood several perches from the present St. Patrick's Well at Elphin. It stood close beside the well. I have seen the roots or the part of the rock beneath the surface of the earth which had been dug to erect a new fountain over the well. I have also seen portion of a stone crucifix, dug up at the same time, which once had stood over the Holy Well of St. Patrick and St. Assicos (and had doubtless been also shattered by the men of England), now in possession of the Very Rev. Canon Mannion, parish priest of Elphin. O'Flaherty, in his Ogygia, says that a person predicted the falling of this stone on a certain day, and that it fell on that day [Wednesday], 9th of October, 1675. But there were two remarkable stones in Elphin, one over St. Patrick's Well, and the other in the middle of the town. Near Elphin is the townland of Lahausk, i.e, Leacht h As[i]c; flag-stone of Assic. The tradition is that the place was so called, because St. Assicus, in the course of his missionary labours, broke his leg on a flag there. The word of Tassach was not false. The body of Christ, the King truly strong. With [i .e. in] Communion to Patrick. The fourth line of the quatrain is glossed — i.e., it is the body of Christ that was Communion for him. The gloss adds : — Tassach is venerated in Baholp in Lecale, in Ulster ; i.e., Wright and bishop of Patrick was Tassach, and this is the feast of his death. (3.) The imperfect Martyrology of Tallaght, a copy of the short recension of the so-called Hieronyman Martyrology with native saints added to each day (Book of Leinster, page 358 fg. ), XVIII. Kal. Mai. ; the first Irish name is Sancti Tassagi. (4.) The List of Irish saints who were bishops, in the Book Leinster, page 365 : Nomina episcoporum Hibernensium incipiunt: the sixth name is Tassach. (5.) The Drummond Kalendar : XVIII. Kal. Mai : Apud Hiberniam, Sanctus Episcopus et Confessor Tassach hoc die ad Christum migravit. Two instances remain, in which the patron of Raholp is confounded with the first bishop of Elphin, — the glosses already given on the hymn of Fiac and on the Calendar of Aengus. The first is of the eleventh century; the second, of the fifteenth. In the present case, they are accordingly devoid of importance. Colgan observed that the Natalis of Assicus, under that name, cannot be found in the Irish martyrologies, although the name is thus written in the Acts of St. Patrick; and, to account for this omission, supposed that he was identical with Assanus, whose feast occurs on the 27th of April, according to the Martyrology of Donegal. Yet, in the Martyrology of Tallaght, which he had under his hand, it is the second name given under April the 26th, disguised as Isaac which Dr. Matthew Kelly, of Maynooth (clarum et venerabile nomen), all but succeeded in rightly amending. His reading is 'Assach'; the true lection is As[s]ic. The transposition of the vowels (c/. Falertus for Felartus), and the error of a day may be attributed to the fact that the compiler belonged to southeast Leinster. As to the omission from the (metrical) Calendar of Aengus (end of eighth, and beginning of ninth, century), the only other ancient martyrology which Colgan possessed, suffice it to say that the bard preferred to commemorate foreign saints. For instance, at April 26th, the Tallaght Martyrology has six Irish names; the Calendar selects the first saint of the day, the martyr Grillus. At April 27th, the former gives four natives; the latter, the first foreign name, Alexander, abbot of Rome. The investigation of the most reliable authorities regarding St. Assicus, first bishop and patron of Elphin, affords fresh proof that the closer the study of our ancient and authentic documents, the more evident becomes the truth of the popular traditions respecting the lives of our native saints. Irish Ecclesiastical Record, 4th series, Vol. 11 (1902), 289-309; 400-412. St. Indreachtach, Abbot of Bangor. To the period of the happy death of the great illustrious Innreachtach." As this saint is said to have died, about the commencement of the tenth century, we should not feel surprised at the omission of his name, in the published Martyrology of Tallagh, at the vi. of the Kalends of May, or 26th of April; for, according to Colgan, St. Corpre, Abbot of Clonmacnoise, who died in 899, is the latest saint, whose name is inserted in that calendar. On April 25 we commemorate the saint whom tradition holds was the bishop who bestowed the veil upon Saint Brigid of Kildare. Canon O'Hanlon's account brings together what is recorded of Maccaille, Bishop of Croghan, including the famous story that a jet of flame erupted from the head of Saint Brigid at the time of her profession. He is also at pains to ensure that we do not confuse Saint Maccaille with a saint of similar name, Machaldus (Maughold), who is also commemorated on this date in some sources, although I will be posting an account of him on his other feast day, 28 December. St. Maccaille, Bishop at Croghan, King's County. One of the revered prelates of our early Irish Church was the venerable man of whom we are now to treat, but whose special Acts do not seem to have been written. 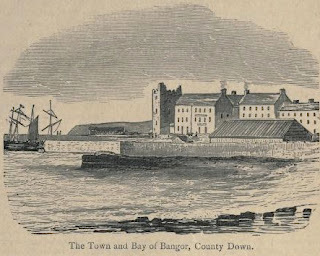 The Bollandists have published accounts of the Holy Bishops Maccalleus, of Cruachad, and of Machaldus, in the Isle of Man, at the 25th of April. As we have seen, in the previous Article, these personages are to be distinguished. Mac-Caille is variedly called Maccille, Macalleus, Kilius Cailleus, Maccille, and Machillus. This latter is the form of his name, as used by Surius. Little is known, regarding the birth and parentage of this saint. As in the Irish language, however, Mac signifies "son," and as, in a notice of this holy man, taken from one of St. Patrick's Lives, his name is Latinized Filius Cailie, it seems to be almost certain, that Caille was the name of his father, and it may have been given by his parents, or it may have arisen, owing to some other cause. Nevertheless, another opinion has been advanced, and which shows, that Maccalle may have been the true way for spelling his own name. He is sometimes called Macull; yet, this has probably more immediate reference to the saint, whose Life precedes [i.e. Saint Machaldus of the Isle of Man]. Maccaille is stated, also, to have been one of St. Patrick's nephews, by his sister Darerca; and, he is thought, in all probability, to have been the same as that Maceleus, who is classed among the disciples of St. Patrick. Again, it is conjectured, that Maceleus had been identical with a person mentioned in the Tripartite Life of St. Patrick, and who is named Macetus, or Maccectus. Having found Maccalleus elsewhere, and wishing to swell the number of St. Patrick's disciples, the Rev. Dr. Lanigan remarks, that Colgan thought it better, to distinguish him from the Maceleus of Tirechan. However, Maceleus or Makaleus differs not from Maccaleus, in the ancient Irish pronunciation. A very general opinion now prevails, that the present holy man had been a disciple to St. Mel, or Melchu, of whom St. Patrick was supposed to be uncle. St. Maccaille was elevated to thegovernment of a church at Cruachad, or Cruachan Bri-Ele, in the territory of Offaly, or Hy Failge; and, this place is expressly mentioned in the Calendar of Cashel, and in other documents, as that where his church stood. Here, it is stated, he was a Bishop. It was on the confines of Leinster and Munster, according to the former extent of the latter province, and before a part of it was added to the present King's County. The Eile, with which the name of that place terminates, was a district, commonly called Ely O'Carroll. It has been supposed, that while Mac-calle's See was established, at the place already named; his jurisdiction also extended over a considerable tract of country, and that we may reasonably conclude, he had been consecrated, before A.D. 465. 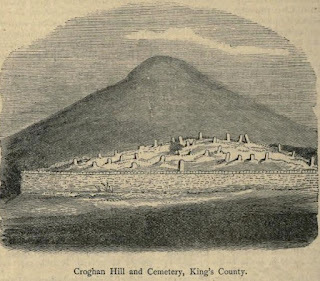 The range of Croghan Hills gives name to a small parish, in the barony of Lower Philipstown, King's County. There are three well-defined summits, the highest of which rises towards the west, and this elevation is terminated by a remarkable cone, from which a most extensive and varied view of all the neighbouring Irish counties may be obtained. Immediately under it, and sloping along the hill-side, with its aspect towards the east, the crowded cemetery, within which a church was formerly to be seen, is now enclosed, with a low and parapeted stone wall. A great number of head-stones with inscriptions rise over the graves; and this spot is still a favourite and frequented place for interments. This hill was, no doubt, that site, formerly selected by St. Macaille, for his religious establishment. It is said, one Macca, or as others will have it Machilla, a disciple of St. Patrick, presented the veil to St Bridget. By many, it was supposed, that the holy Patroness of Kildare received it from the Bishop of Soder, in the Isle of Man. He bore a name, somewhat similar to that of our saint, and to this circumstance may be attributed the popular error. But, he does not appear to have been baptized, much less consecrated as Bishop, at the time when St. Brigid had been veiled. However, the illustrious and holy Abbess received the veil from the son of Cuille, or Caille, i.e., Maccaille, in Uisninch Midi, or Usneagh, in Westmeath, according to some accounts; and there, too, it has been supposed, that our saint usually resided. It is stated, that Maccaille had an inspiration from Heaven, regarding St. Brigid's earnest desire of becoming a virgin, she being so remarkable for her maidenly love of chastity. He consecrated her to the Almighty, by receiving her vows, and by investing her with a white cloak, or veil, the usual dress of nuns, in the early times of Christianity. The white garment of St. Brigid is noticed, likewise, as having been her peculiar dress, in the Third of her published Lives. There is no notice, about the cutting of her hair, which in the profession of holy virgins was not practised, at this early period. The date for St. Brigid's profession has been referred, to about the middle of the fifth century. That Maccaille then officiated, is to be found in that entry of the Cashel Calendars regarding his festival day, and this statement has been followed by Cathal Maguire. An old Poem, ascribed to St. Brogan Cloen, agrees with such a notion. On this occasion, according to another account, St. Brigid went to receive the order of penitence from Bishop Mel; or, in other words, to be invested with the religious habit, as already stated in her Life. Some modern writers have incorrectly stated, that our Apostle St. Patrick was the prelate who received the profession of the holy virgin, St. Brigid. However, it seems not improbable, that both St. Mel and St. Maccaille officiated, at this investiture. The latter might have been deputed by the former, to take a leading part in that solemn function, which led to the great works afterwards accomplished by the holy virgin. Thus, to each of them might fairly be attributed a part in the ceremony of veiling, although it be immediately and properly referable to the ministry of St. Maccalleus. When her father Dubthach found, that heaven had decreed his daughter to become a consecrated virgin, he desired that Melchon should have charge of her religious direction, and, accordingly, she was providentially conducted to the temple, by one who accosted her on her way, but who is not named. Perhaps, he may not have been any other than St. Mac-Caille. Other pious virgins accompanied St. Brigid, and to share her graces. Then took place that remarkable miracle of a great flame extending from St. Brigid's head to the very roof of the church. In admiration of this phenomenon, the Bishop especially made diligent enquiries about the saint's parents, he also learned her manner of living, from the time of her infancy. One of his clerics informed him, that she was Brigid, the wonder-worker, and a daughter to Dubtach. On hearing this, the Bishop was most anxious to comply with the virgin's desires. Her good fame seemed to herald a future career of great usefulness in the Church. The Bishop who received her religious profession is stated, likewise, to have procured a suitable place, for the establishment of her nunnery. He presented her with as many cows, as there were members in her community ; but, the number of her virgins, at the time of her religious commencement, has been differently stated. The Third Life says, she left her father's house attended by three, but it afterwards enumerates, eight postulants while the Fifth Life has seven. The home which St. Brigid occupied, in the beginning of her monastic seclusion, is thought to have been not far from the place where Mac-Caille lived. According to one conjecture, it was called Rath-brighde, or Brigid's rath. This was situated within the territory of Fearcall, in Meath. Another supposition is, that it may have been at Tegh-Brighide, or Brigid's House, in Kinel-Fiacha, the country about Kilbeggan. As St. Brigid was then very young and inexperienced, St. Mac-Caille appears to have devoted some portion of his time to her instruction, and to supply the religious necessities of her community. He exercised hospitality towards herself and her nuns; and, on one occasion, when they had been invited to a banquet, an interesting spiritual colloquy took place. In the opinion of the Bollandists, the veiling of St. Brigid took place, before A.D. 440; while Ussher places the event, at A.D. 467, and he states, that St. Patrick, or some one of his disciples, was reported to have given it to her, when she was little over fourteen years old. As her peculiar practice, and on the recommendation of St. Mac-Caille, to aim at excellence, in a special degree, St. Brigid selected Mercy, while her other religious applied themselves respectively to observe some chosen virtue, with great constancy and fervour. The Bollandists place the death of our saint, in the year 456, on supposition, that St. Patrick survived him four years. The Annals of Innisfallen have A.D. 484, for that event. The Chronicum Scotorum places Maccaille's death, at A.D. 487. The Annals of Senat-mac-Magnus, of Clonmacnoise, those of the Island, and other authorities—such as Duald Mac Firbis—have 489. According to the Annals of the Four Masters, Bishop Mac-caille died in the year 489 which, after his usual manner. Rev. Dr. Lanigan interprets into A.D. 490. This latter, however, is the year set down for his death, in the Annals of Tigernach. The Felire of St. Aengus records the feast of St. Mac Caille, at the 25th of April, and with phrases conferring on him very exalted praise. A glossographer on the passage distinguishes him, as having his church in Cruacheii Brig Eli, in Ui-Faitge, and as having set the veil on St. Bridgid's head, while he took Mochuda's hand out of Rathin. This closes with an observation: "He comes not till the end of 435 years." This seems alluding to some former legend regarding him. In the Martyrology of Tallagh, at this date, we meet with the simple entry, Mac Caille, Bishop. His festival occurs, on the 25th day of April, according to the Calendar of Cashel, as quoted by Colgan. Marianus O'Gorman has an entry of his festival, likewise, at this date. Again, Cathal Maguire has a similar account, in his Martyrology. On this day, April 25th, the Martyrology of Donegal records the festival of Maccaille, Bishop. The foregoing relation contains all that is distinctive and known, relating to the venerable man. On April 24 we commemorate Saint Egbert, one of the Saxons who pursued the study of the monastic life in Ireland. I have found myself increasingly interested in this group of saints and hope to bring accounts of as many of them as I can. Colin Ireland's paper Seventh-century Ireland as a Study Abroad Destination establishes the historical context for their studies and can be read here. Canon O'Hanlon has a very full entry for today's saint in which he paraphrases the evidence from The Venerable Bede for Egbert's career. And a most interesting career it is too. The monastery of Rathmelsigi where our saint studied was the spiritual and intellectual powerhouse which produced the mission to the Low Countries headed by Saint Willibrord. Whilst there, Egbert was also a witness to the devastating plague which carried off so many of his fellow students, including his own brother. The description of Egbert's ascetical practices shows that he had learnt the Irish spiritual tradition very well, yet at the end of his life he was instrumental in bringing the Roman computation of Pascha to the monastery of Iona. As a Catholic writer, Canon O'Hanlon writes approvingly of this, Anglican writers of the same period tended to see the 'Celtic Easter' as evidence of the Irish church's independence from (or even hostility to) Rome. Celtic romanticists similarly viewed the Paschal Controversy as a battle between a free-spirited Celtic Church on one side and an oppressive, authoritarian Roman Church on the other. Modern scholarship now views the Paschal Dating Controversy in a different context, a 2007 thesis brings together an overview of the subject and can be read online here. ST. EGBERT, PRIEST AND MONK OF lONA, SCOTLAND. THE Acts of this holy man were first written by Venerable Bede, who lived at a period, not very remote from the age of the subject selected for his imperishable record. From this Memoir, succeeding writers have chiefly drawn. In John Capgrave's "Nova Legenda Angliae," we find a notice of St. Egbert, Monk; and, Trithemius makes him an Abbot and a ruler, over the monasteries of St. Columban. This mistake has been repeated by Wion, Menard and Bucehn. St. Egbert, abbot, appears, classed at this date, among the Irish Saints, whose biographies Colgan designed publishing. Dean Cressy has published very fully an account of this holy man, in his Church History of Brittany. The Bollandists have published his Acts, with a previous commentary, and notes. In Baillet's " Les Vies des Saints," the name of St. Egbert appears at the 24th of April. Bishop Challoner, Le Comte de Montalembert. Les Petits Bollandistes, and Rev. S. Baring-Gould have historic accounts of this celebrated man. St. Egbert was an Englishman by birth, and issued from a noble race. It is thought, he was born, among the southern Saxons, owing to the rather ambiguous way, in which Bede introduces him to the notice of his readers. Some authors, he says, thus inform us. For some time, Egbert was brought up in the famous monastery of Lindisfarne, or Holy Island, and in the days, when Finan or Colman had been Bishops of Lindisfarne. At this time, likewise, it was very common for many of the Saxon students, to leave their native country, and to dwell in Ireland. Either to improve in sacred learning, or to embrace in that Island a more holy and continent life, was their chief purpose. Among these were Edilhun and Egbert, two young men of great capacity, and belonging to the English nobility. The former was brother to Ethelwin,'s a man no less beloved by God. Afterwards, he went over to Ireland for the purpose of study. Having been well instructed, Ethelwin returned into his own country. Having been made Bishop in the province of Lindsay, he governed most worthily, and for a long time, that church, committed to his charge. While Egbert and Edilhun were in a monastery, which in the language of the Scots was called Rathmelsigi, and when all their companions were either snatched away from this world, by that great mortality, which prevailed A.D. 664, or when these were dispersed into other places, the two Saxon students were both attacked by the same pestilential disease. They were most grievously ill, for some time. Then, thinking he should die, Egbert went out in the morning from the infirmary, and sitting alone, in a convenient place, he began seriously to reflect on his past actions. Filled with compunction at the remembrance of his sins, the face of Egbert was wet with his tears, and from the bottom of his heart the penitent prayed to God, that he might not die as yet, but that he inight first have time to do penance for the past negligences of his childhood and youth, as also to exercise himself more abundantly in the practice of good works. He also made a vow, that he would live a stranger and pilgrim abroad, so as never to return to his native island of Great Britain: moreover, that besides the Canonical hours of the Divine Office—if he were not bodily sick—he would daily sing the whole Psalter to the Almighty's praise, and that every week he would pass one whole day and night in a rigorous fast. After these tears, prayers, and vows, he went back, and found his companion asleep ; and then, lying down upon his bed, he also began to compose himself for rest When he had lain quietly awhile, his companion awaking looked on him, and said, "O, Brother Egbert, O, what have you done? I was in hopes we should have entered together into everlasting life." Egbert then replied : "However, be assured, that you shall receive what you have asked for." Egbert had learned in a vision, what the other had prayed for, and that his request should be granted. In short, Edilliun died the next night; but, Egbert, getting the better of his distemper, recovered. He lived for a long time, afterwards, and gracing the degree of priesthood to which he was promoted, with actions worthy of his sacred calling. Humility, meekness, continence, simplicity, and justice, rendered him a perfect man ; so that he did great service, to his own countrymen, and also to the nations, both of the Scots and of the Picts, among whom he lived in exile, giving them the holy example of his life. Owing to his labours in preaching, by his authority in correcting, and through his piety in relieving such as were in need, with what he received from the rich, Egbert effected great good. He added to the vows already mentioned, that during Lent he would eat but once in the day; and even then, nothing but bread and thin milk, and that doled out by measure. This fresh milk he used to put in a vessel the day before; and, the next day skimming off the cream, he drank only what remained, and eat a little bread. This same method of abstinence he took care always to observe, for forty days before the Nativity of our Lord; and likewise, for the same number of days after Pentecost. During his youth, for some time, St. Chad led a monastic life with our saint in Ireland. Both lived in the exercise of prayer, of abstinence, and of meditation on the Divine Scriptures. The most reverend Father Egbert, being in conversation with Hygbald, a most holy and mortified man, who was Abbot in the Province of Lindsey, and who had came out of Britain to visit him, their subject of discourse, as it became holy men, was upon the lives of the fathers that had gone before them, and with a desire to imitate them. Mention being made of the most reverend Prelate Chad, "I know a man," said Egbert, "in this Island, yet living in the flesh, who, when that man passed out of this world, saw the soul of his brother Cedda come down from heaven, with a company of Angels, and taking his soul along with them, they returned thither again. Our saint admonished Egfrid, King of the Northumbrians, to desist from his unjust expedition into Ireland, in 684, and not to hurt an innocent people, that had done him no harm. But, refusing to hear him, and laying waste that nation, which had always been most friendly to the English, and not sparing even the churches or monasteries, Egfrid was justly punished the following year. Leading his army against the Picts, and being drawn by them into some defiles among the mountains, all were destroyed, in that expedition. One of the principal occurrences in the Life of St. Egbert is referable to the mission of Saints Willebrord, Swibert and their companions, into Germany. Thither, the saint desired to have gone himself, but he was prohibited by manifestations from heaven, which induced him to alter his intentions. However, he was mainly instrumental, in directing the attention of his associates to that great work. There were people called Frisons, Rugians, Danes, Huns, Old Saxons, and Boructuarians, from whom the Angli and Saxons, dwelling in England during Venerable Bede's period, were known to have descended. There were many other nations in these parts of Europe still following their pagan rites, and to whom the soldier of Christ Egbert had designed to repair. Sailing about Britain, he resolved to try, if he could deliver any of them from Satan, and bring them over to Christ; or, if he could not effect this, he designed to visit Rome, where he might see and reverence the monuments of the Blessed Apostles, martyrs of Christ. However, he was hindered from performing any of these things, owing to the oracles and the power of heaven. When he had chosen companions, the most strenuous and fit, to preach the word, while excelling both in virtue and learning, and when he had prepared all things which seemed necessary for their voyage; there came to him one day, and early in the morning, a brother, who was formerly a disciple and servitor to Boisil, that priest beloved of God. That brother related to Egbert a vision he had seen that night. "When after Matins," said he, "I lay down in my bed, and had fallen into a slumber, there appeared to me my old master and most loving tutor, Boisil, who asked me, whether I knew him ? I said, 'yes ; you are Boisil.' He replied, ' I am come to bring Egbert the answer of the Lord our Saviour, which nevertheless must be delivered to him by you. Tell him, therefore, that he cannot perform the journey he has proposed, for it is the will of God, that he should rather go to teach in the monasteries of Columba.'" This illustrious Cenobiarch was the first teacher of the Christian faith to the Picts, beyond the northern mountains; and, he was the first founder of that celebrated monastery in the Island of Hy, which continued for a long time in great veneration, among the Scots and Picts. Having heard the words of this vision, Egbert ordered the brother that had related it to him, that he should say nothing about it to any other person, lest perhaps it might be an illusion. However, considering within himself, he apprehended the admonition was a real one; and, he did not desist from preparing for his projected journey to teach the gentiles. A few days afterwards, the same brother came to him again, stating that Boisil that very night, also, had appeared to him after matins, and that he had said, "Why did you communicate to Egbert in so negligent and in so tepid a manner, what I enjoined you to tell him? Go now, and let him know, that willing or not willing, he must remain in the monasteries of Columba; because their ploughs do not go straight, and he is to bring them to the right way." Hearing this again, Egbert commanded the brother not to reveal the same to any person; and though he was assured of the vision, Egbert made another attempt, to begin his intended journey with the brethren already mentioned. When they had put on board all that was necessary for so distant a journey, and while they were waiting some days for favourable winds; so violent a storm arose one night, that after having lost some part of the cargo, the ship ran aground, and was left upon her side among the waves; yet, whatever belonged to Egbert and to his companions was saved. Whereupon, he dropped the designed voyage, and he quietly remained at home. However, one of his companions, named Wicbert, was remarkable for his contempt of this world, and for his great learning, having for many years lived a stranger in Ireland. There, he led an eremitical life in great perfection, and, afterwards, he went abroad. Arriving in Frisia, he preached the word of salvation, for two whole years to that people, and to Rathbod their king. Yet, he did not reap any fruit, from all his labour among these barbarous auditors. So, returning to the beloved place whence he proceeded, he gave himself up to our Lord, in his accustomed spirit of recollection; and, since he could not profit those that were without, by bringing them to the true faith, he laboured to be so much the more serviceable among his own people, by those examples of his virtue, which were given. When the man of God, Egbert, perceived, that he was neither permitted to preach to the gentiles, being withheld on account of some other advantage to holy Church, and regarding which he was beforehand admonished by the Divine Oracle, nor that Wicbert, who went into those parts, had met with any success, he still attempted to send to this work of the Word some holy and industrious men. Among these, that great man Willebrord was most eminent, both as regarded his priestly degree and his merit. Those missionaries, being twelve in number, visited Pippin, Duke of the Franks and they were kindly received by him; and, whereas, he had lately subdued the hither Frisia, from which he had expelled King Rathbod, the Duke sent them thither to preach. These missionaries are deservedly looked upon, as the Apostles of the northern countries of Europe; which, under God, owe their Christianity to the Apostles' zeal, and to that of St Egbert, the great promoter of this mission. St. Wilfrid, Bishop of York, had laboured successfully to introduce the discipline of the Roman Church into his diocese, in opposition to the Scottish usages; but, still great opposition was manifested to that reform by the monks, who had retained the Irish custom, to the time of Egbert. The holy man next took into hands that other great work, for which he was reserved. His chief task was inducing the monks of Hy, with the other subject monasteries, to observe the canonical celebration of Easter. Coming from Ireland to the monastery of Hy, in 716, Egbert was honourably and with much joy received by the monks. Being most persuasive in his teaching, and most devout in practising what he taught, Egbert was very willingly hearkened to by all; while, owing to his godly and frequent exhortations, he brought them away from their tenacious adhesion to that tradition of their ancestors. To them might be applied the words of the Apostle, that they had the zeal of God, but not according to knowledge. However, Egbert soon taught them to celebrate the principal solemnity of Easter, after the Catholic and Apostolic manner. This appears to have been the result of a wonderful dispensation in the Divine goodness; for, since the Irish people had been careful to communicate to the English, willingly and without envy, the knowledge they had of God's truths, it was even just, that they should afterwards, by means of the English, be brought to a perfect rule of life, and in such things as those, in which they had been defective. On the death of Conamhail, in 710, Dunchadh, became Abbot over lona, which monastery he governed, and his death is recorded, at A.D. 717. Under Abbot Dunchadh, and about eighty years after they had sent Aidan, Bishop of Lindisfarne, to preach the Gospel to the English nation, those monks of Hy adopted that generally received rite, for the mode and time of observing Easter. They abandoned, in like manner, the former Irish style of tonsure, by shaving the head from ear to ear, and they adopted the Coronal shape, on the top of their heads. The man of God, Egbert, remained thirteen years in the aforesaid Island, which he had, as it were, consecrated to Christ, by the light of a new grace. He there promoted ecclesiastical society and peace, among the fraternity. This is the Egbert, so called Abbot of Iona, who is mentioned by Colgan, with a festival for the 24th of April, A.D. 729; however, he seems to have had no authority, for assigning the holy man so high a position in the abbey. A record of his death, by Tighernach, only styles him, the soldier of Christ. Egbert had now attained the ninetieth year of his age, and the time for his release approached. In the year 729, Easter Sunday was celebrated on the 24th of April. Having performed the solemnities of his Mass in memory of the Resurrection of our Lord, Egbert departed that very same day from this world. He passed to heaven, there to complete, or rather, there to celebrate, without end, with the Lord, with the Apostles, and with the rest of its happy citizens, the joy of that great festival. This he had begun upon earth, and with those brethren, whom he had converted to the state of unity. It was a wonderful dispensation of Divine Providence, that this venerable man did not only pass out of this world to the Father on Easter-day; but, also, while Easter was kept that very day, on which, heretofore it had not been observed, in that place. The brethren, therefore, were glad, because of their having now the assured and Catholic knowledge regarding the time for observing Easter. They rejoiced in the patronage of that Father, now going to the Lord, and by whom they had been corrected. He rejoiced, likewise, that he had been kept so long in the flesh, until he saw his hearers receive and celebrate Easter with him, on that very day, which before they always avoided. Thus, this most Reverend Father, being assured of their correction, rejoiced to see the day of the Lord. He saw it and was glad. It has been stated, that Egbert was venerated, at Dorn, in Sutherland; and, this is recorded, in the Scottish Menology of Thomas Dempster. His office, as a semi-double, was formerly recited in the Diocese of Utrecht ; because he was regarded, as having been instrumental in bringing the Christian Faith to the Low Countries. In the Irish as in the English Martyrologies, this holy man is commemorated. According to the Martyrology of Tallagh, veneration was given, at this date, to Echtbricht, a Saxon. The Roman Martyrology and Father Stephen White commemorate this saint, at the 24th of April. Ferarius, in his General Catalogue of Saints, and Ghinius, in his Natal Days of Holy Canons, have a record of his feast. 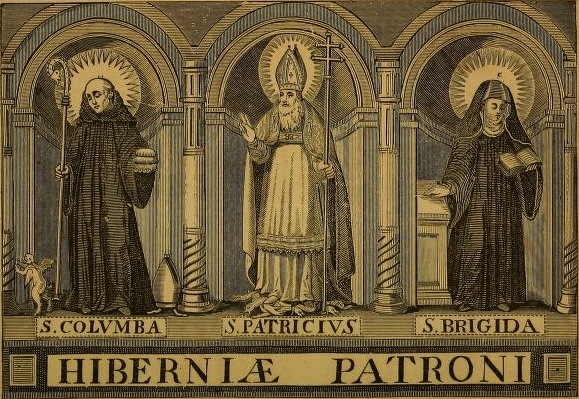 In Henry Fitzsimon's "Catalogus Aliquorum Sanctorum Iberniae," this Abbot Egbert is also classed among our national saints, and Venerable Bede's authority is given, for placing his feast at the 24th of April. Mirseus and Molanus have entered it, among Festivals of Saints belonging to the Netherlands, because of the interest felt by Egbert, in promoting the establishment of the Gospel in that country. In the Anonymous Catalogue of Irish Saints, published by O'Sullivan Beare, his name likewise occurs, and also, in nearly all the ancient and modern Calendars.